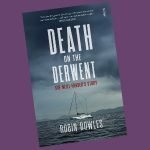 A former Tasmanian, and noted crime author, Robin Bowles brings a unique perspective to her skilfully crafted, disturbing and compelling new book on the Sue Neill-Fraser case. 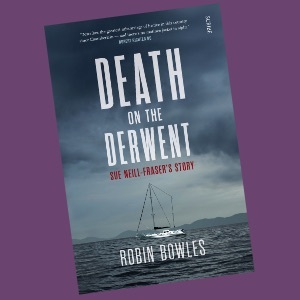 The third book on the wrongful conviction released in just six months, Bowles brings a different insight to the sorry saga, which is still being played out in the Tasmanian courts 10 years after Bob Chappell disappeared off a yacht, his body never found. All actors in this drama await judge Michael Brett’s imminent decision on whether the woman sentenced to 23 years jail will get another chance to appeal her innocence. Read more"Justice dies a ‘Death on the Derwent’"
“Our polite request to Attorney-General Elise Archer for the Tas Govt to consider holding a Royal Commission in 2020 or 2021 has been met with an emphatic ‘NO’ in record time, and on a long weekend,” CLA President Dr Kristine Klugman said. “You would think the government would be a little more circumspect, and wait until after legal cases had concluded to respond, as we suggested. Read more"Tas AG rejects inquiry…instantly"
Australia’s first birth was premature. We held a big party, but didn’t invite the people who should have been first on the list. Now, as we debate which day to celebrate our anniversary, we have a chance for a re-birthing Constitution that will create a new Australia with everyone sharing equally. Then we can all come to the party on Australia Day, the day we formally pass the new, foundational law. Christian J. Bennett writes. 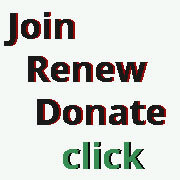 Read more"Re-birth of a nation: creating Australia anew"
A formal call for Notice of Motion(s) has been made for this year’s eAGM and any proposal will need to be lodged before 5pm 16 February 2019. Read more"Proposal for a Notice of Motion – eAGM 2019"
Read more"February 2019: Let’s think about positively improving Australia, and ignore negative election campaigning"
Witness coercion. Unjustified secret surveillance. Proven incompetence. Corruption by confirmation bias, Standover tactics. Bending laws to their own ends… and that’s just the local police! 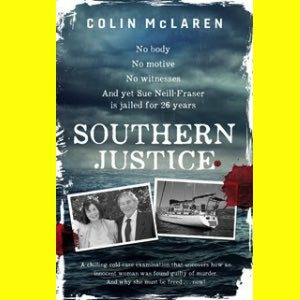 ‘Southern Justice’, a new book by Colin McLaren, exposes and details how justice has gone rogue in Tasmania, where 60-something grandmother Sue Neill-Fraser languishes in her 10th year in Risdon jail, of 23 to serve, for a crime she didn’t commit. It’s a cracking read! 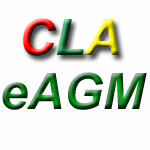 Review by CEO CLA Bill Rowlings. Read more"Does perverted justice prevail in Australia’s deep south?" The Sue Neill- Fraser case, now 10 years old, is becoming Australia’s new ‘Dingo Took My Baby’ saga. Tasmania has jailed a woman for 23 years after her husband went missing from a yacht on Australia Day night in trendy Sandy Bay. No body, no witnesses, no believable motive and a trial skewed by a major Crown blunder not corrected before the jury made its wrongful judgement. Tasmania desperately needs a Royal Commission into its legal/justice system. 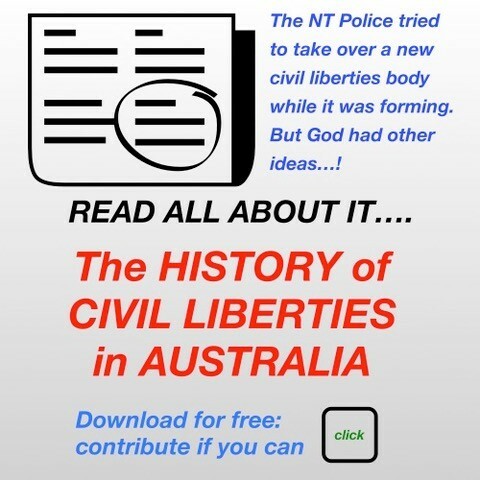 In this Australia Day letter, CLA invites Attorney-General Elise Archer to announce one. 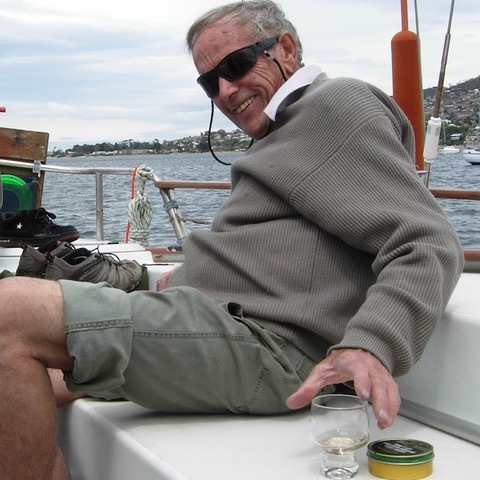 Read more"Call for Royal Commission into Tassie legal/justice system"
The fairness and quality/integrity of the legal/justice system in South Australia remains questionable following the Henry Keogh case. The State of SA has compensated Keogh $2.5m for his wrongful murder conviction and 19 innocent years in jail. However, forensic and other legal errors around the Keogh case may have been duplicated in 400 other major SA trials over the past 50 years. 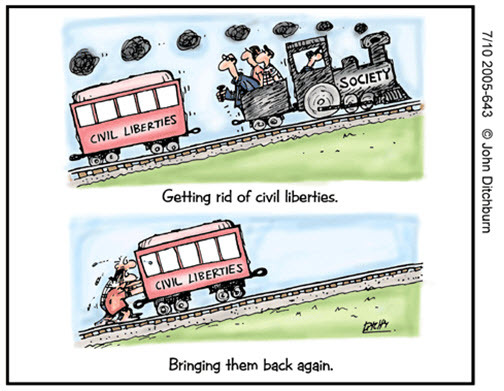 CLA has – again, we also asked in 2016 – asked SA Attorney-General Vickie Chapman to call a Royal Commission to clear the air: she personally and the Liberal State Government have committed to law reform as part of their platform in winning government. 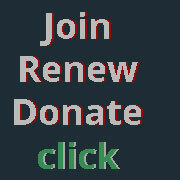 Read more"Law reform AG asked to hold Royal Commission"